Drinking Dairy Milk products are very delicious. Get access to awesome dairy Milk product options on amazing discounts. Choose from the most reliable online retailers including Sainsbury’s, Tesco, and Approved Food. Our supportive team of deal hunters has listed the cheap dairy milk offers available online. Get only top quality dairy milk products that will surely satisfy your cravings. Buy Dairy Milk chocolate bars in bulk and save more money on your purchases. Dairy Milk a favourite of many people so you better try out all the flavours available. 300g Dairy Milk 84p in Tesco? All the sweetest Dairy Milk deals and special offers online! Cadbury Dairy Milk is a brand of milk chocolate that was introduced in the United Kingdom in 1905. 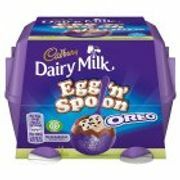 This particular chocolate brand is manufactured by the company Cadbury and they have lots of products under their name. Dairy Milk is the top-selling chocolate bar in the United Kingdom. The company made chocolate bars that have higher proportions of milk than chocolate or cocoa powder thus Dairy Milk chocolate bar was born. George Cadbury Jr was the one responsible for the development of the chocolate bar. In the later years, Fruit and Nuts were made part of the Dairy Milk chocolate line and was followed by Whole Nut. Cadbury was a brand leader in the UK and has remained at the top since they started their business. There are variant bars that are also best-sellers making it a brand name to remember. Today, Cadbury Dairy Milk chocolate is distributed to various parts of the world. Kids and adults love to eat this mouth-watering and sweet treat. You can buy them at supermarkets and convenience stores. You can even buy them online and have them delivered to your home. Chocolate bars are great gift items most especially if you are courting someone. One of the best-selling chocolate products in the world is Cadbury Dairy Milk. If you want to have a taste of this delicious treat you can buy them at very reasonable prices with the help of Latest Deals. Take advantage of huge savings on all Dairy Milk bar sizes including Dairy Milk 850g, and Cadbury Dairy Milk chocolate bar 360g. 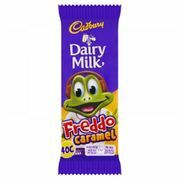 You can also find the best Dairy Milk 200g price and other cheap Dairy Milk chocolate flavours like the all-time favourite Cadbury Dairy Milk Fruit & Nut. We have community of bargain hunters who are always on the lookout to find the best cheap Dairy Milk sale, special offers, discounts, and price drops from major UK retailers. We also have a team of money-saving experts who regularly share essential tips and tricks that will be able to help you save on your instore and online shopping. Majority of online UK retailers have sale events, seasonal clearances, and flash sales where you can get up to 40% off on all Dairy Milk products. They also have 3 for 2 offers that can provide you with further savings. Watch out for their Black Friday and Boxing Day deals where their prices are reduced even further. If you want to maximise your savings, make sure to use the latest Dairy Milk discount codes we have here. We also have Dairy Milk voucher codes where you can get freebies or free shipping. If you are going to purchase food products online it is better to check the expiration date of the products to avoid having any problems. But rest assured that all the products that the retailers are selling are high quality. All Dairy Milk products have gone through quality assurance inspection. Treat yourself to a sweet and milky chocolate bar. You can save some money when you buy in bundles. There are also many kinds of Dairy Milk variants and you have the chance to try them all. It helps in reducing stress and improves mood. Chocolate is known to have components that improve a person’s mood by releasing serotonin which are feel-good hormones to the brain. People who feel down eat chocolate to lighten their mood. It makes you eat less. Chocolate bars have sugar content and other components that help reduce appetite thus helping you lose weight when eaten in moderation. Do not eat too much chocolate bars because even if they can suppress your appetite, they are very high in calories and can make you fat. It helps in getting glowing skin. Chocolates are high in antioxidants that will help you detoxify. By eating chocolates and drinking plenty of water, you will have glowing radiant skin. It will help clean your body and remove toxins most especially chocolates that have high cocoa content. It promotes hair growth. Since chocolate has zinc, iron, copper, and other minerals, it helps promote cell regeneration. This will eventually help in improving your hair health. It will make your hair look thicker and fuller. Helps keep your heart healthy. Chocolate has flavonoids that promote heart health by keeping arteries and veins stay supple. But even though chocolates are good for the heart, you should not eat in excess because too much of a good this is also bad. Improves a person’s health. Chocolate with high cocoa content are nutritious treats and is good for your overall health when eaten in moderation. Keeps you from having a heart attack. Chocolate helps restore the flexibility of the arteries thus preventing white blood cells from sticking to them.